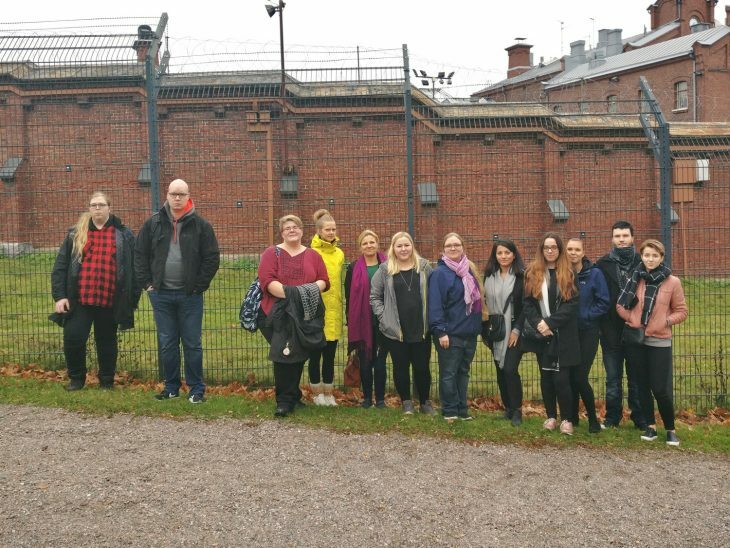 Students specialising in Public Administration and Law spent a day in November to visit the Crime Museum and Helsinki Prison. The visit was arranged for the Criminal Law course. The Crime Museum has a collection of objects used as tools or evidence in famous crimes in Finland. The oldest object is an execution axe used in the 18th century. The Museum has photos of crime scenes and the visitors were warned at the beginning of the tour that some could faint but nobody did. The most repulsive photos have been taken away from the early days of the Museum. However, the writer visited the Museum in the 1990s when those photos were there and can still remember them as they were quite shocking to a young lawyer. The Museum is not open to the public but takes only visitor groups belonging to the police interest groups such as criminal law students. Visits must be agreed in advance. However, the Museum is nowadays open to the public one day a year but the lines are quite long then since the Museum draws public interest. Taking photos is prohibited in the Museum. 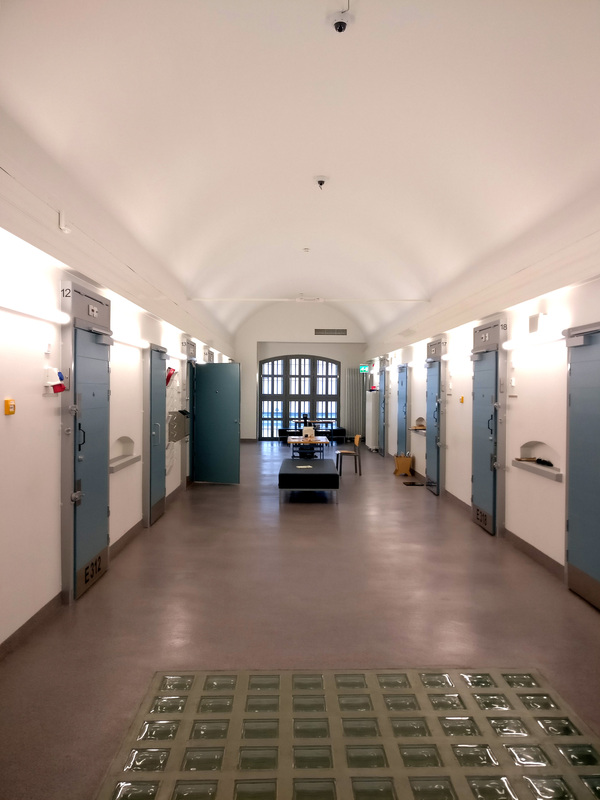 Helsinki Prison is one of the oldest prisons in Finland (built in 1881). There are about 260 prisoners of whom 17 are doing a life sentence. At present, there are 27 non-Finnish prisoners. The number of prisoners with a non-Finnish background is higher though as some prisoners have acquired Finnish citizenship before having committed crimes that have put them in prison. Most non-Finnish prisoners originate from Estonia. In the history of the prison there have been prisoners originating from all the continents of the world except Antarctica. 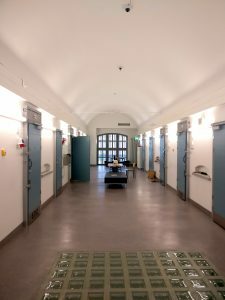 All prisoners are male as women are put to a prison in Hämeenlinna. Prisoners have the obligation and possibility to study, work and take part in addiction rehabilitation. Taking part in such an activity entitles a prisoner to receive a small activity pay of about 3 €/day. Did you know that all Finnish car registration plates are made by prisoners in Helsinki Prison? Prisoners can meet visitors on Sundays for one hour. 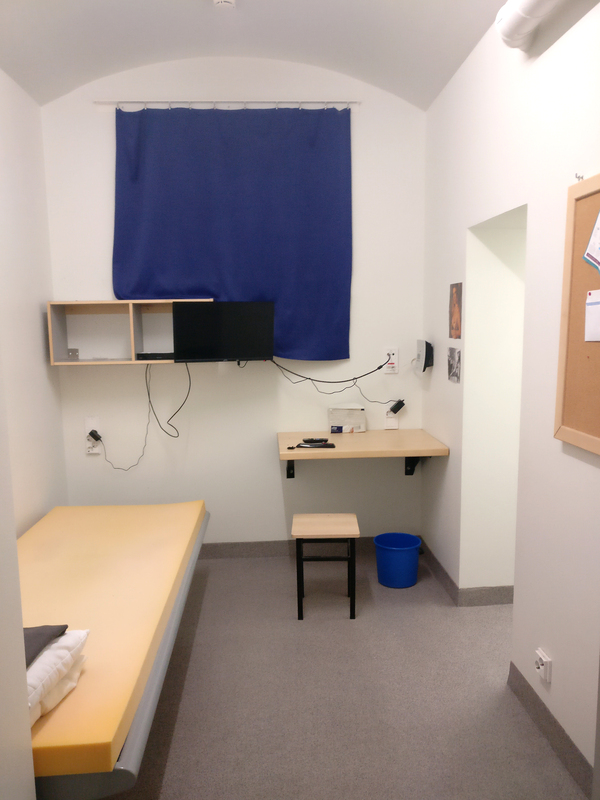 By application, a prisoner can meet his family (spouse and children) in a special unsupervised family room for three hours every three weeks. Prisoners have made a KONNAKOKIN KOKKAUSKIRJA (= Crooked Chef’s Cookbook) which includes recipes created by prisoners of food materials that can be bought from the prison canteen which the prisoners can visit once a week. One of the students is now a happy owner of this book.